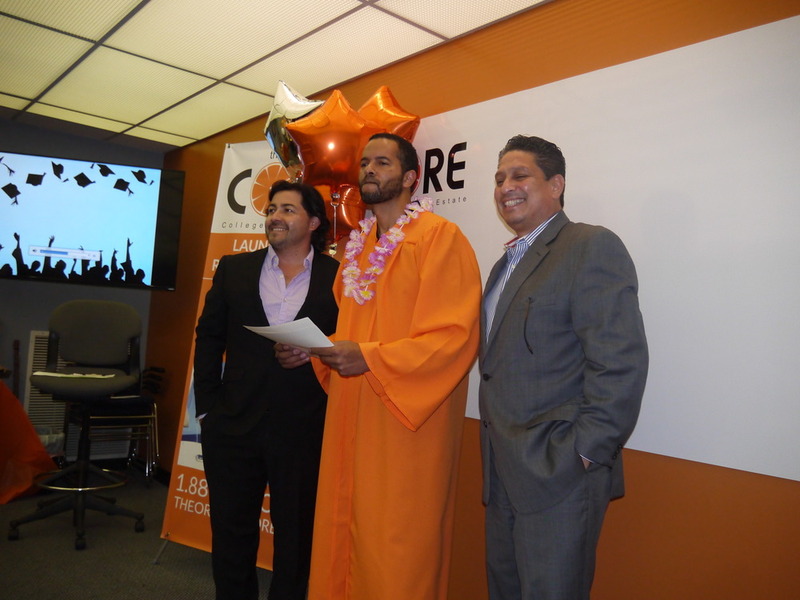 The College of Real Estate (theCORE) has always prided itself on being different. To say that you are different, and to really be different, are (without overusing the same word) two distinctly different things. 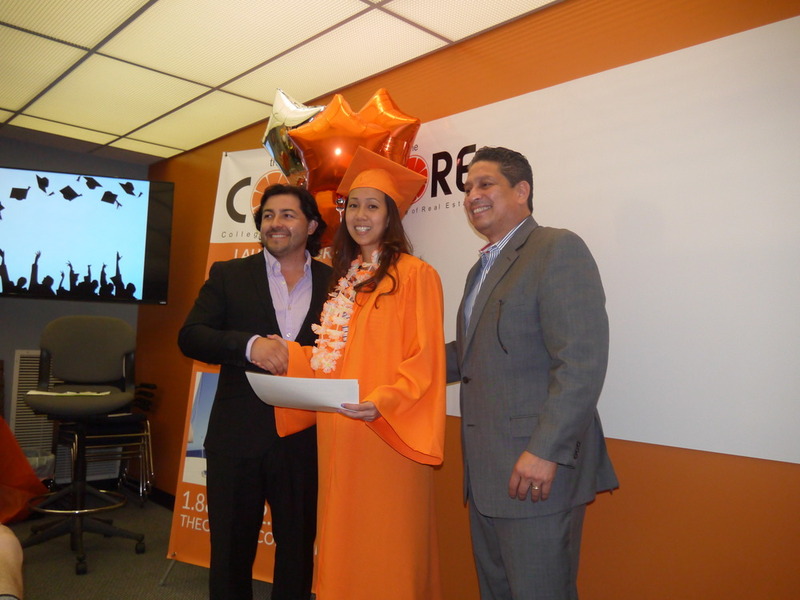 There are many real estate schools, but there is only ONE College of Real Estate. 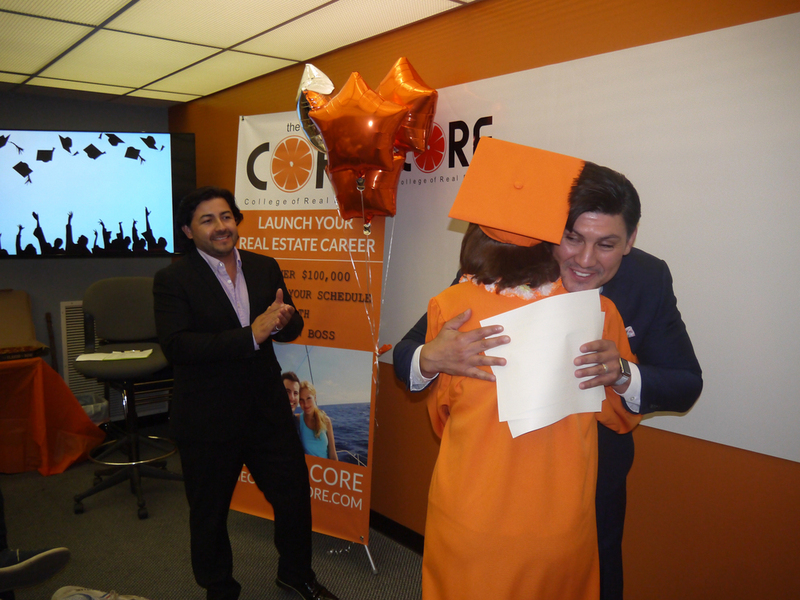 In celebration of what makes us and our students unique, theCORE takes time and effort to recognize our graduates and soon to be licensed real estate sales agents. 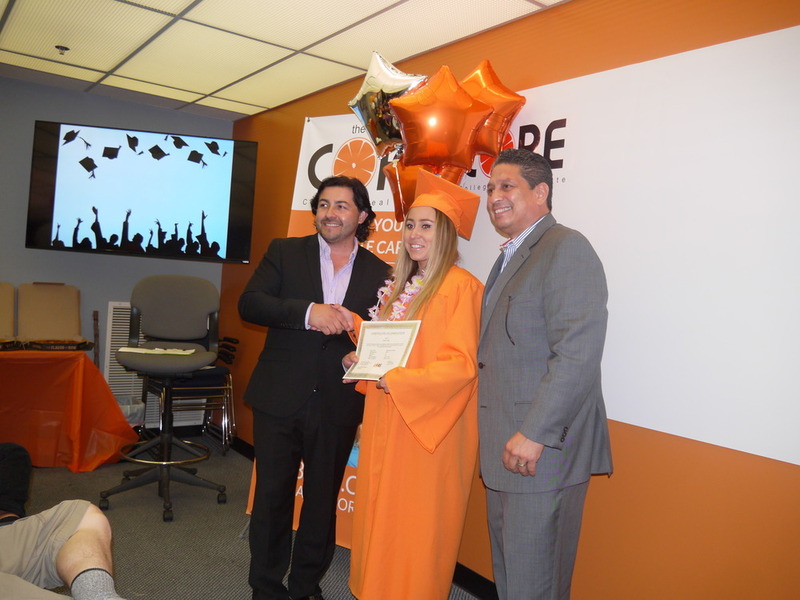 Last night marked our first graduating class who donned our orange cap & gowns as they received their certificates confirming the completion of the 3 college level courses required by the California Bureau of Real Estate prior to taking the State Exam. 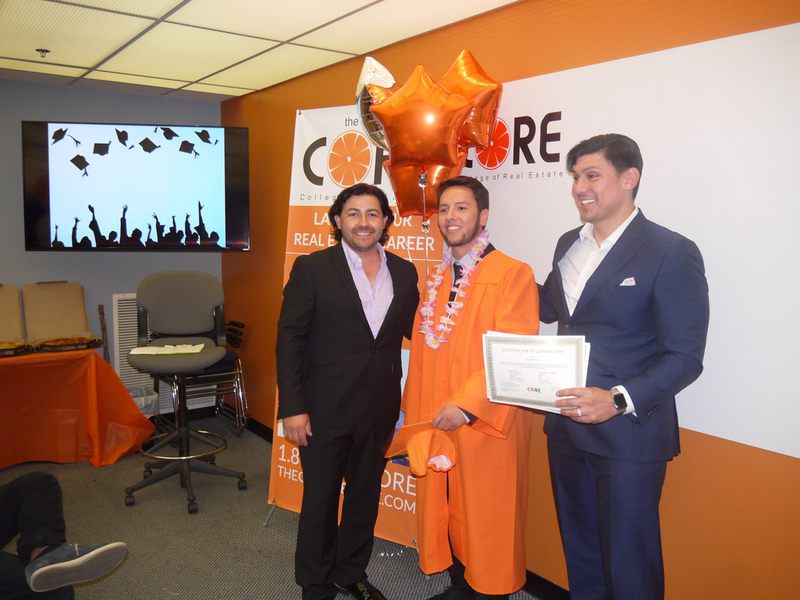 The CORE celebrated 5 graduates before a packed classroom of nearly 30 people presently enrolled. The energy and excitement was amazing and we can’t wait to hear from our graduates as they schedule their State Exams and pass. Special thanks to theCORE Front Desk Jessica Combs for all her suggestions and attention to detail, Course Instructor Noe Pina for providing content to our students in a fresh and inviting atmosphere where they are more receptive to instruction, and Course Registrar Michelle Shimohara who painstakingly meets with every prospective student to enroll them. Our school colors are orange & black, but our graduates are seeinggreen-as in greenbacks. Orange is the New Green. 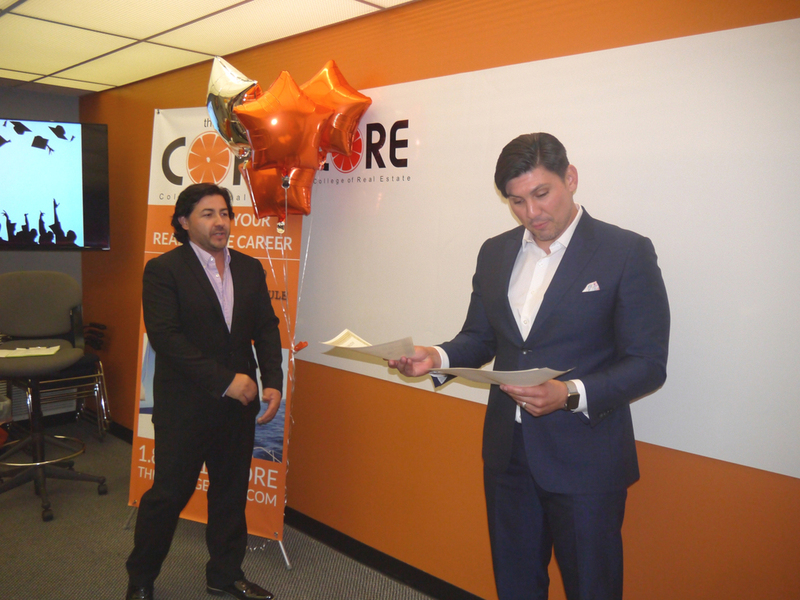 If you are licensed, and just need that extra push in the form of coaching or accountability (at no cost to you), email Coaching@REHrealestate.com or fill out their “5 Step Business Plan to Becoming A Successful Real Estate Agent” modeled after agents that earn incomes in excess of $375,000! You may also call REH Real Estate direct at (888) 727-0REH and select Option 5. 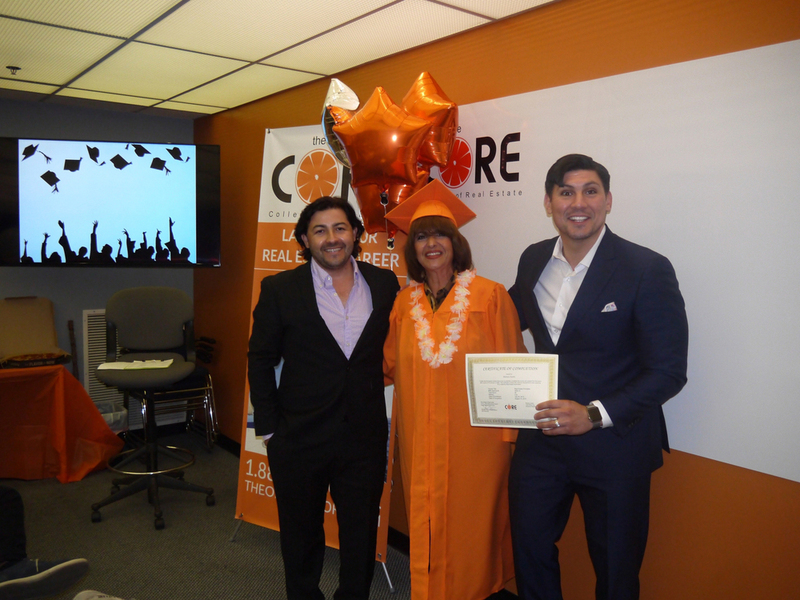 REH Real Estate, at no cost to their agents, offers optional in-house coaching and accountability programs. These programs help agents achieve a higher rate of production. Additional outside coaching programs are available (at the agent’s own expense) and encouraged. Many of our agents have utilized Mike Ferry and Tom Ferry as their coaches.